You will have noticed that where Lena’s Café was we now have a fresh face on the high street, but something seems familiar about Clock Café. With the same set up of deli-style food served hot or cold, Clock Café has the same chef and management as Lena’s but has been given a much needed facelift (after a Porsche crashed through the window)! 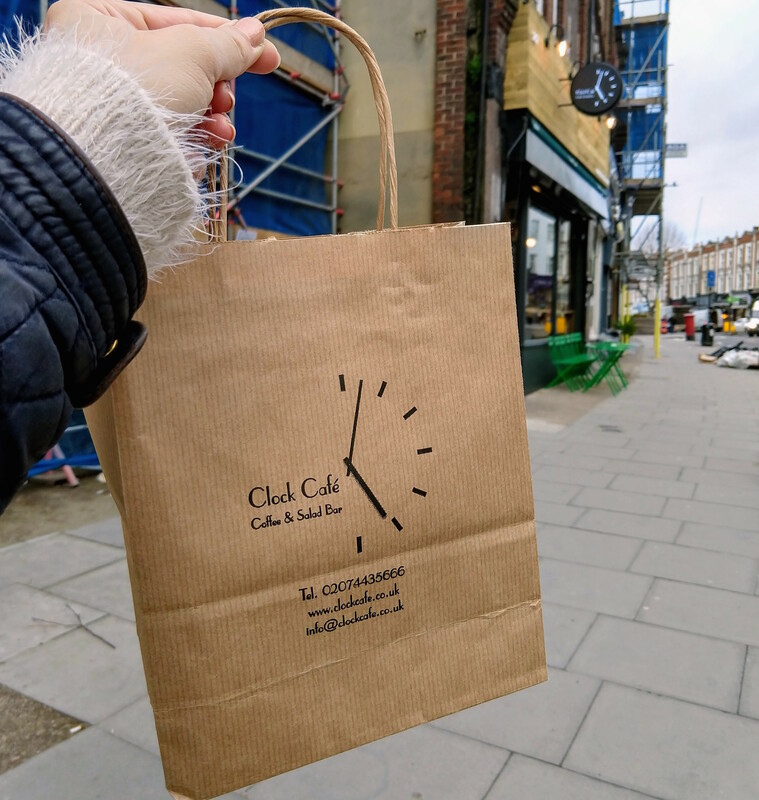 Though it doesn’t quite boast the same ambiance as some of the restaurants, pubs and cafés we have on West End Lane, Clock Café offers some variety, a low key and reasonably priced option, whether you’re eating in or taking away. I’d imagine this wil be a popular spot for those working in the area looking for a quick bite on their lunch break. 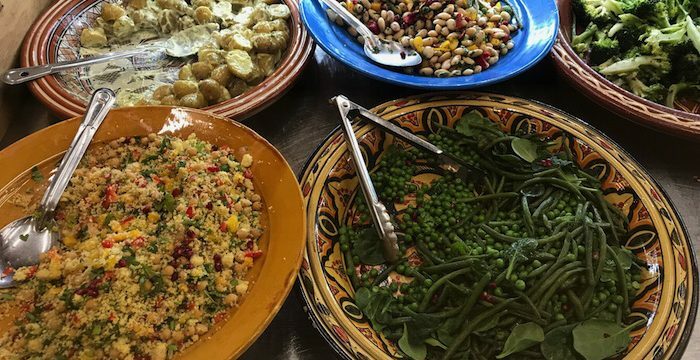 You’re spoilt for choice with the food options. 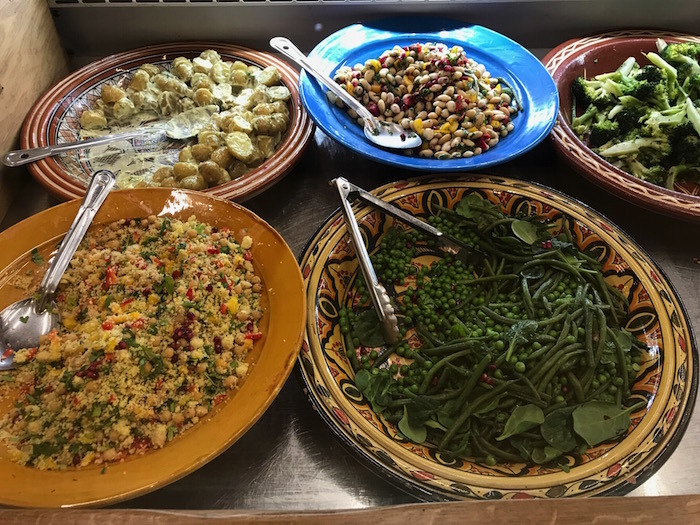 I highly recommend the baked cauliflower – bursting full of flavour, the greens and chicken in tomato sauce. It was extremely tasty; I’d go so far as to say delicious. The aubergine was quite salty, in fact, I dread to think how much salt went in a lot of the menu items. However, if you choose well you may end up with a fairly healthy, hearty meal. It’s a great grab and go or quick sit in place. Those who were fans of Lena’s would be pleased to know that Clock Café hasn’t lost it’s ‘marketplace in the Mediterranean or Middle East’ feel, with vast trays of baklava and assorted nuts on offer (the nuts are new by the way). And it does food to go. 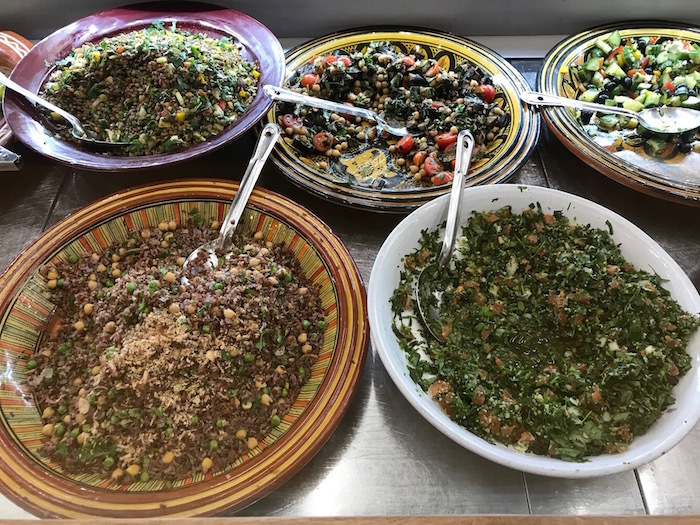 Prices are cheaper if you take your food to go, choices include boxes filled to the brim with your own choice of main food items and salads, sandwiches, wraps and a soup of the day. They also have a nice selection of drinks, including coffee (of course). It’s nice to have you back in the neighborhood, Clock Café.